After a short battle and building a barricade, you decide to take a rest. Once rested, it’s time to continue your escape. Of course, that’s not going to be easy! 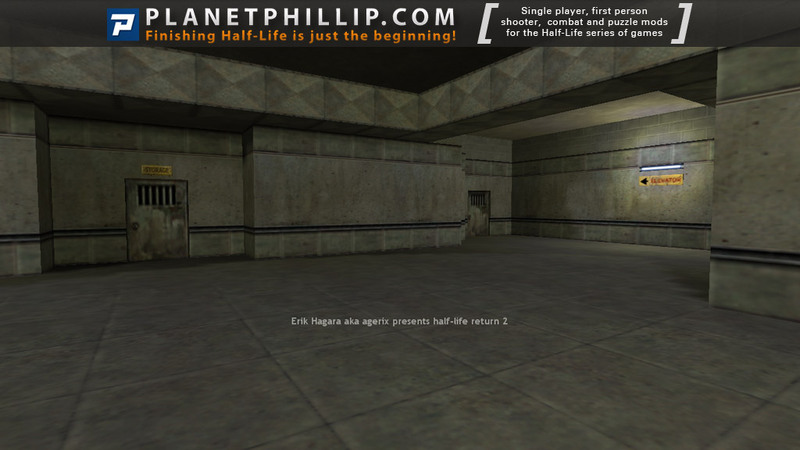 Copy the Half-Life-Return_2 folder into your Half-Life folder. 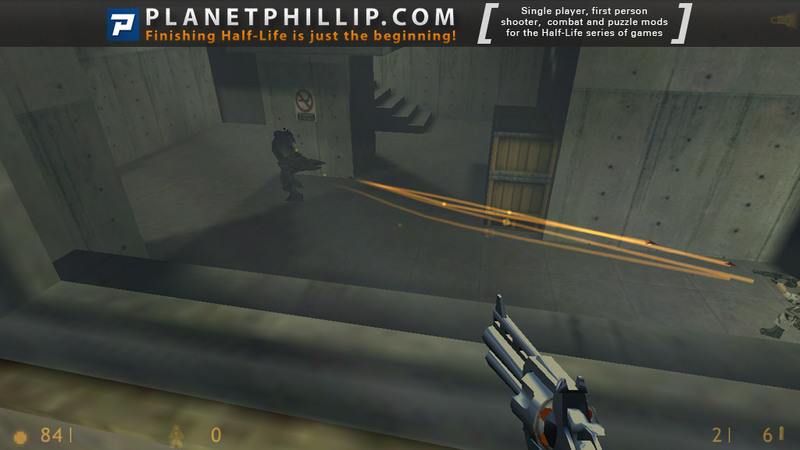 Half-Life: Return 2 should now be listed in your Library tab. I really enjoyed this – faults and all. 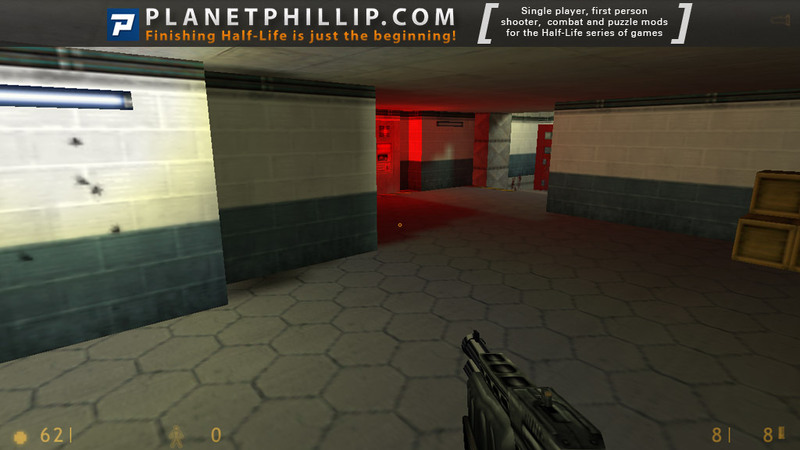 It’s a starting premise seen in hundreds of mods before it: escape Black Mesa. There are no real surprises and the layout and design is as you would expect although I am sure I recognized a few “copy and paste” areas. That said, I suppose if there were a base like BM, some of it would be quite repetitious. I liked how I had to save some scientists at certain points and not worry about having them follow me around all the time. There are a few battle between Xenians and Grunts, which could have been made more interesting or useful. I found I just waited until it was over and killed whoever was still alive. There’s only really one “big” BM-style area and that is wasted, as it’s possible to run through it without fighting. 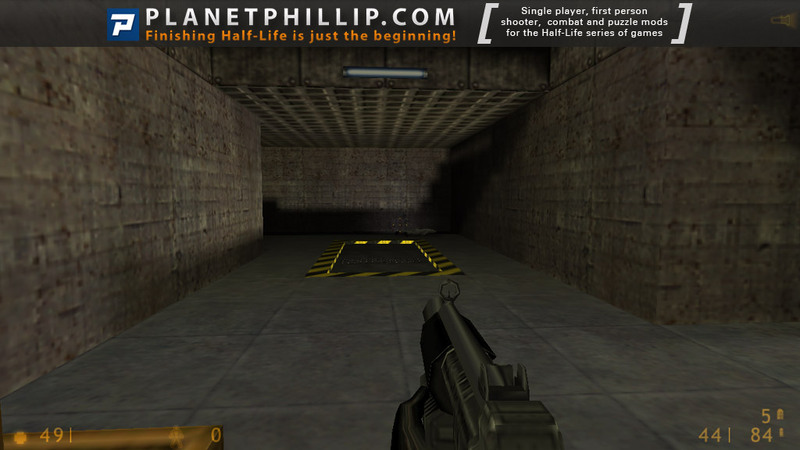 Some areas were too simple and plain, but the days of ultra-detailed and big HL1 mods are long gone. 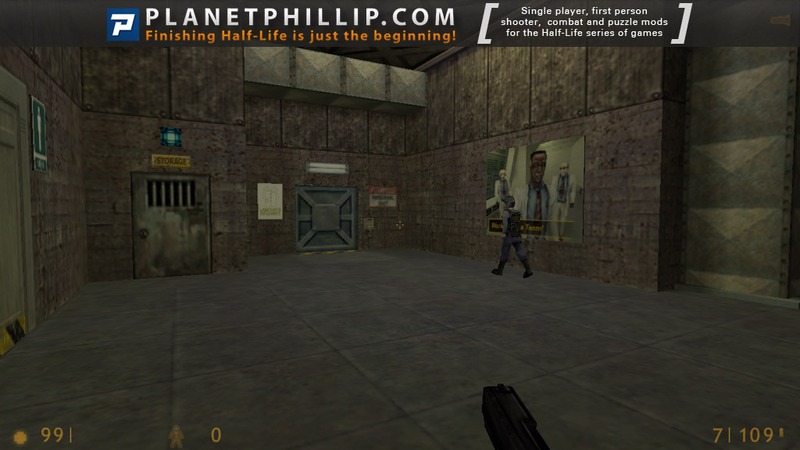 Overall, it’s been a lot of fun recently to play some HL1 maps and mods, and this joins that group. 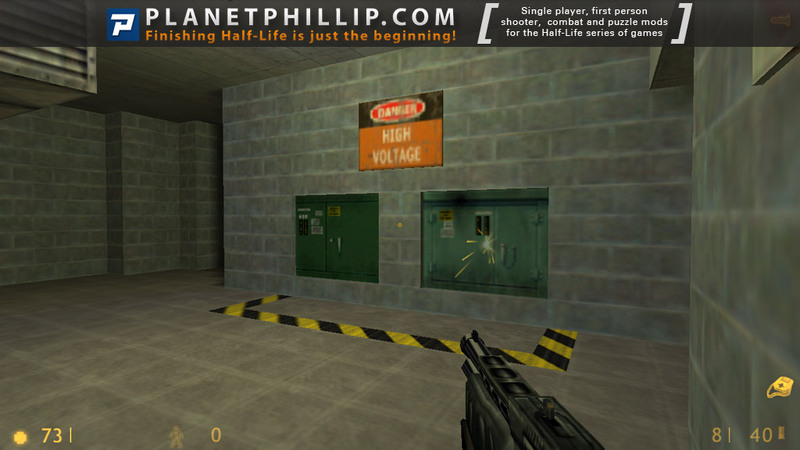 If you enjoy HL1 and BM, give this a go. 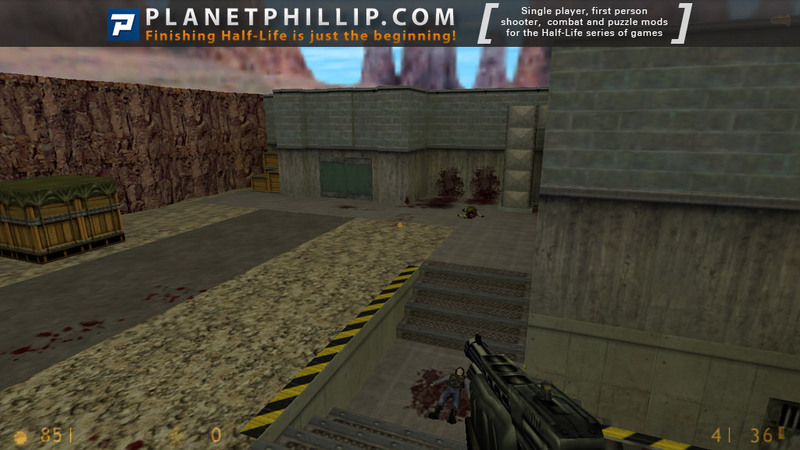 Another map pack bringing back the good old memories :)! 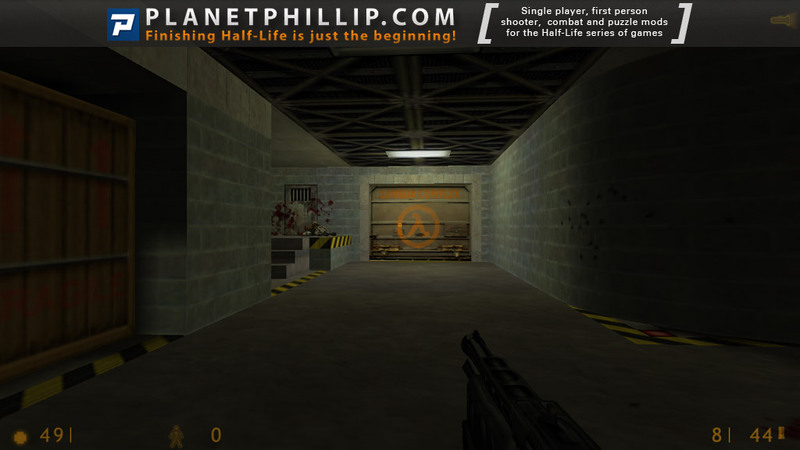 I agree with Phillip that it is a bit bland at times, but then it had no big issues like some of the other HL maps released here recently. Just some minor stuff in case the author reads this: After reloading, all cutscene sounds were always replayed while on the other hand a lot of buttons had their not-working sounds missing. In the beginning it would be better to have suit and weapons from the start and the ending was too sudden with no real conclusion. In the middle something went wrong with the “saving the scientist” part. The first scientist always died, then some script wasn’t triggered correctly with the second scientist which made the alien grunt appear only after backtracking from further on, which made it hard to rescue the scientist, only to have him stuck on the rising platform. I continued without him until I got the “too late” message, how is this supposed to work? It is certainly a few minutes of fun, but I agree with the above “bland” comments. I have a pet peeve where a mod/map lets you go a certain way only to be trapped with no recourse but to load a saved game. 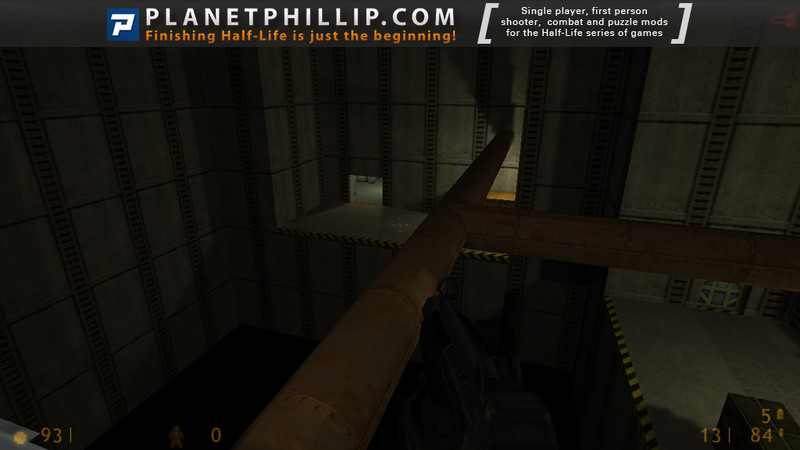 In this map if you walk across the pipe near the end and take the path to the right you can drop down safely but don’t seem to have any options after that. In this map if you walk across the pipe near the end and take the path to the right you can drop down safely but don’t seem to have any options after that. Yes, that’s true in this case. I only checked that area out after I had finished it, but I agree with you areas like this should be unreachable. 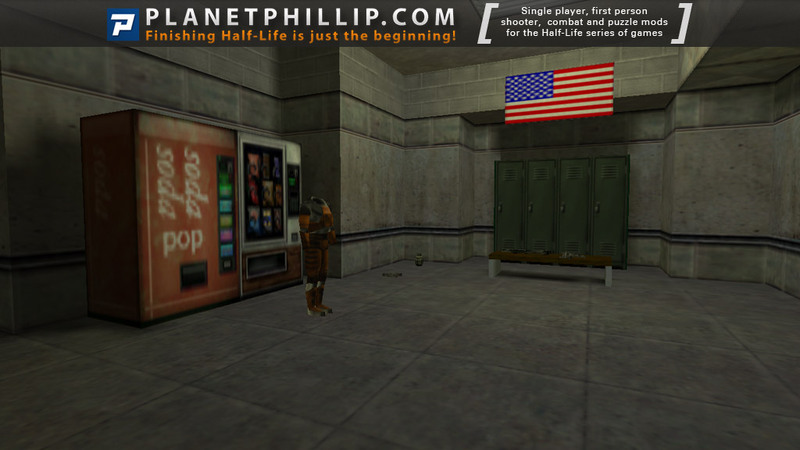 This mod gives the feeling of Black Mesa at first. The design is somewhat simple, but it does its job. The combat is enjoyable. 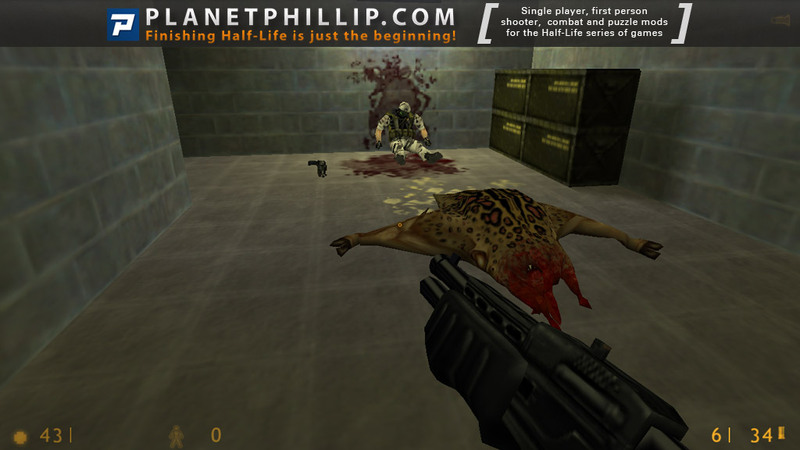 But design and combat get repetitive after a few maps – same alien grunts vs human grunts in the T-crossing, shotgunner around the corner again and again and the blocky design style looks similar everywhere, even though the textures are different. 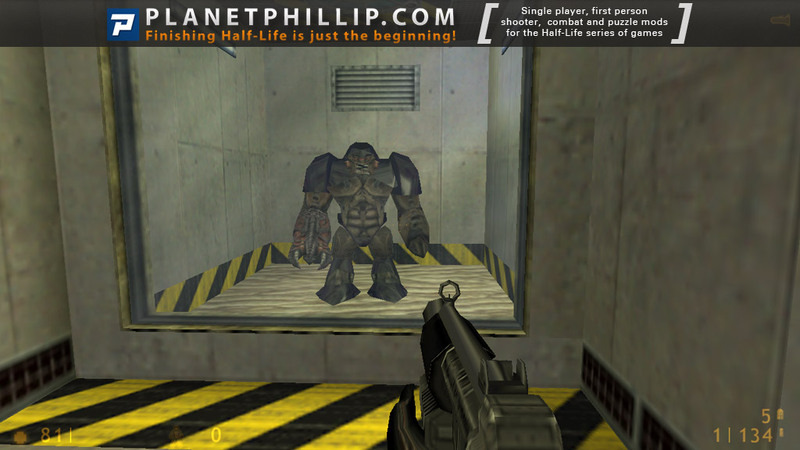 At some places it’s not thought out well enough: in the first map the player can jump on the barricade and climb in the vent where the headcrab came from only to see that there’s nothing in there. And there’s no trigger_hurt in the pit near the “surrender freemen” writing. 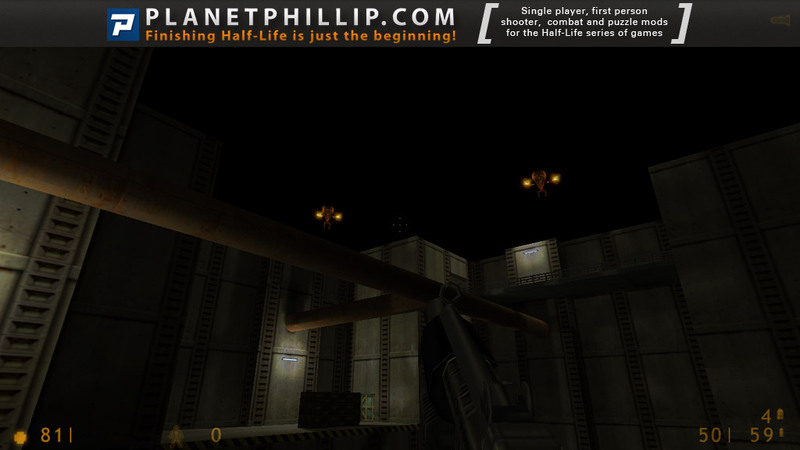 Even more, it’s well lit and it’s possible to see the bottom textured with black. And there’s no ending. 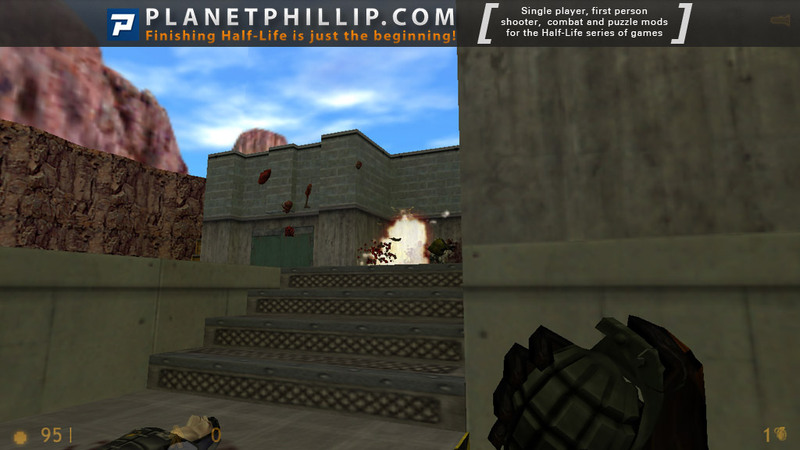 Even more, it’s well lit and it’s possible to see the bottom textured with black. And there’s no ending. True, I meant to mention both those points in my review. I enjoyed it, but as said, no ending, I wandered around for quite a while before I realised that ‘that” was it….a good “no-clip” around confirmed that I had been everywhere and done everything…still, it entertained for a while. 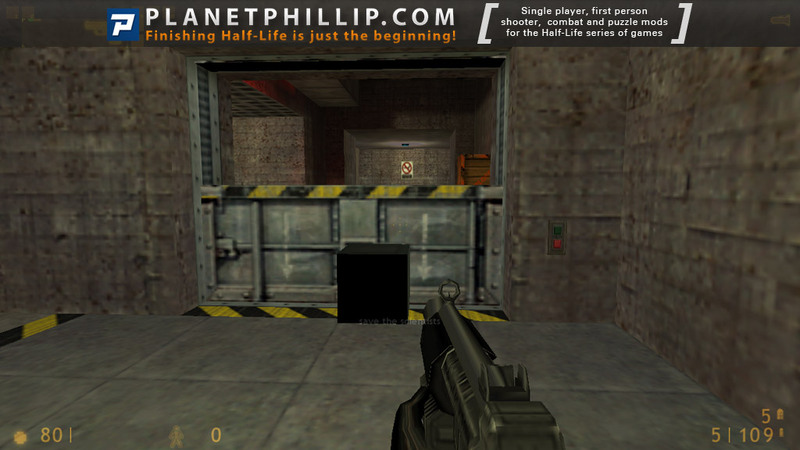 Another Black Mesa adventure, I never seem to get bored with this format. Return 2 has most of the main ingredients one would expect to encounter when escaping from the Mesa complex, human and alien foe, terrified scientist and plenty of twists and turns on route. 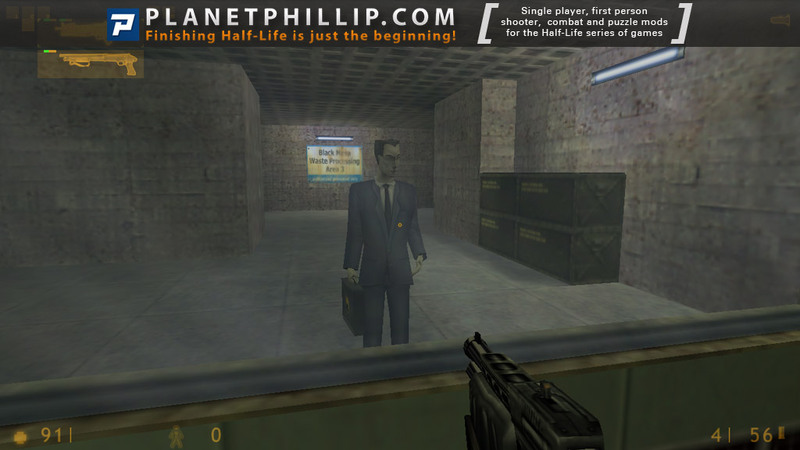 Overall the mod is not too challenging and with combat on the easy side you should have no problem completing this one. 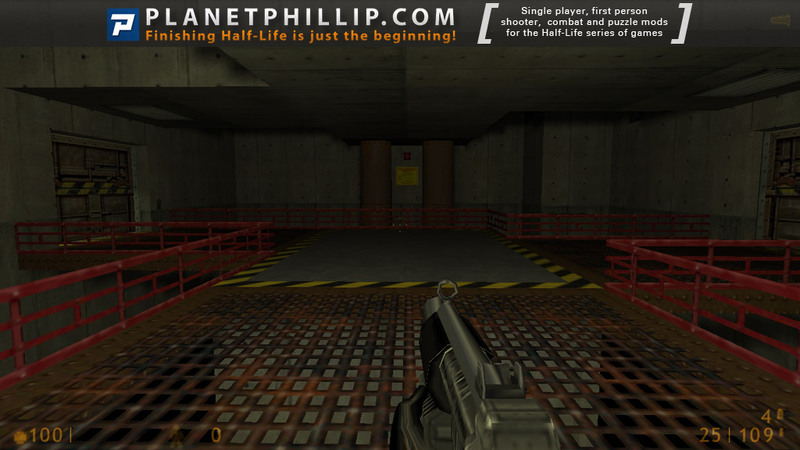 I can’t remember any moments of outstanding design or gameplay, but what we have is more then adequate for this Black Mesa experience. 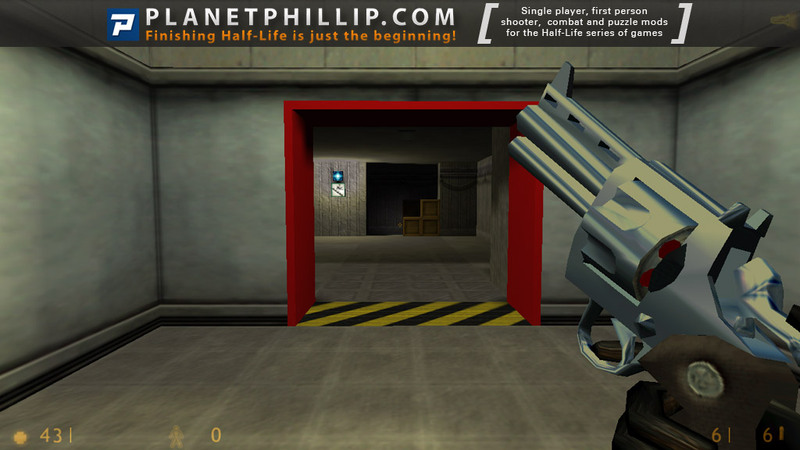 However, if you have an eye for detail and a love of grand design then you may well be disappointed, but has already been said by Phillip, the days of grand design and fine detail are long gone for HL1 custom mods. The only point of criticism I would voice is the very weak and unstructured conclusion to Return 2, but if a Return 3 is on the drawing board, then the ending is more then acceptable. 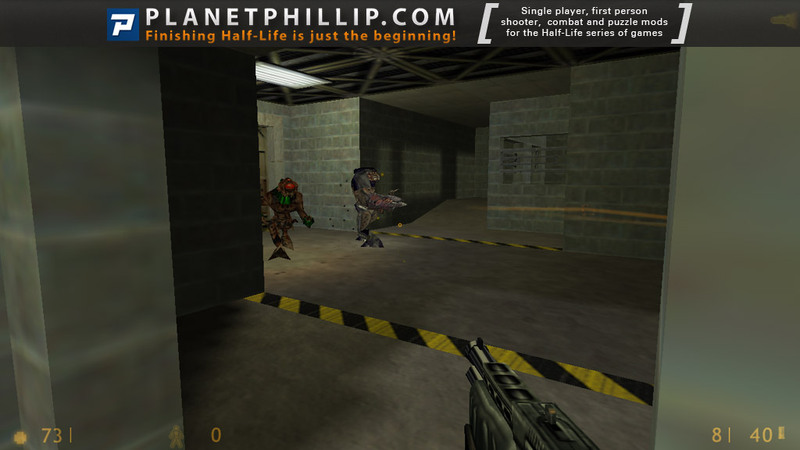 It’s time to give this 3 play it now grades, so far, why, because I liked this was a HL1 mod and not just a big map, I know, the whole maps here have certain lacks, but is ok, u can have some average-good battles despite of those low polished details u can find there, and the classic goal is simple, get the hell outta BM. 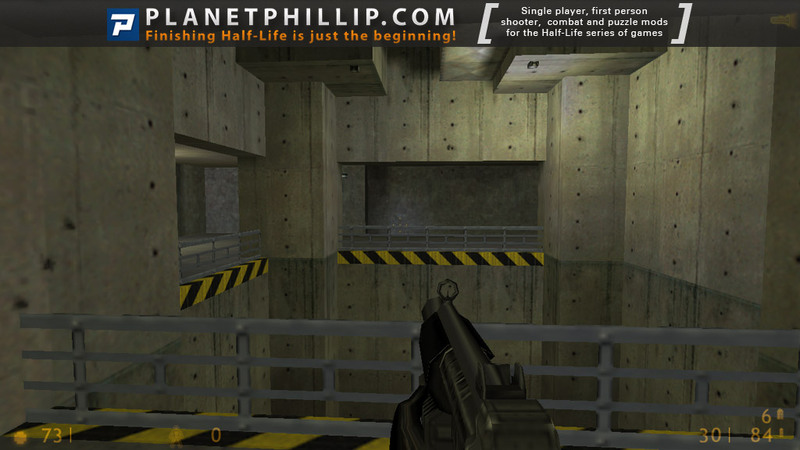 so play it and enjoy it, especially if u are a HL1 fan nostalgic like I am. I’m having a problem saving the scientist in the end. The elevator stops half-way down and I get stuck. I think that would be the only way to go where you can make the scientist to follow you to. Any suggestions. Over all it was a cute little map. If I remember right you don’t need any scientists to follow you, you just need to keep them safe where they are. 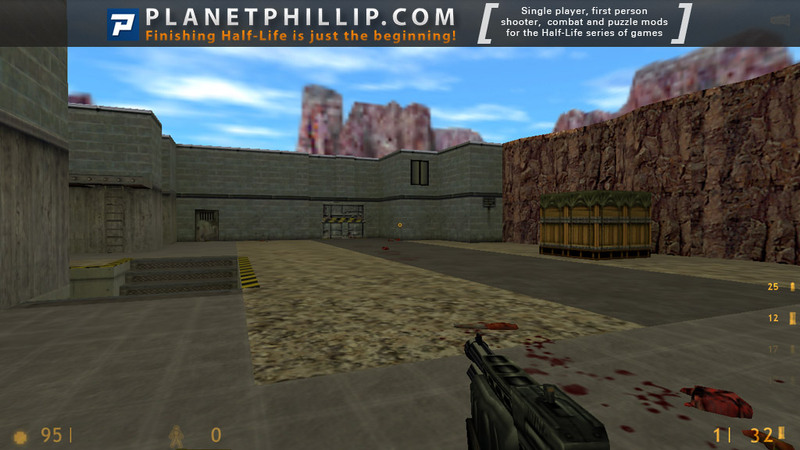 – edit the (now) first line: game “Return2” and then save the file. all done, enjoy. Its worth to play it later. Although I can see the author’s improvement from his early maps and certainly from Return 1, the product is still an unpolished and rather unattractive set of maps. 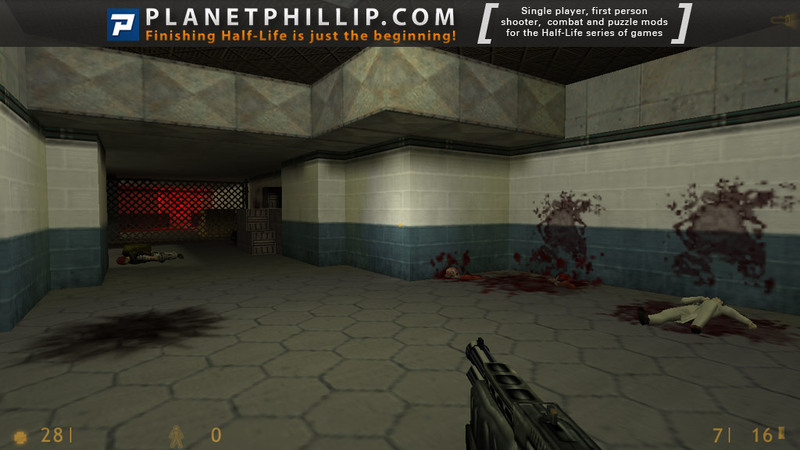 It’s not terrible in terms of Black Mesa themed packs, but it still has a ways to go before I’d recommend it. 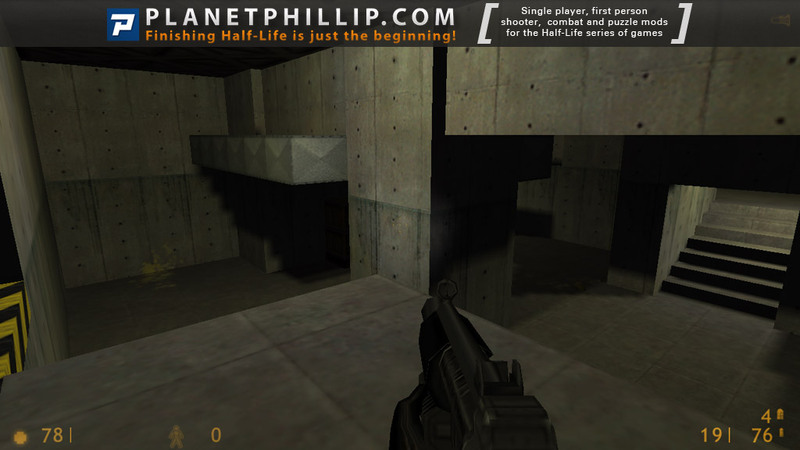 Unfortunately, back is the ugly lighting (it’s very blocky, and often surfaces in the shadow are pure black) – a result of not understanding how to use the Half-Life mapping tools to improve and then perfect lighting. It really can be quite attractive in the Goldsource engine. Also back are the loads of dead ends and silent locked doors which are a pet peeve – at least have the decency to let me know they are locked with a feedback sound. The combat in this pack is decent, although there’s no real challenging battle. Some of the grunts can catch you off guard but the big threat in the pack (Gargantua) is easily bypassed. 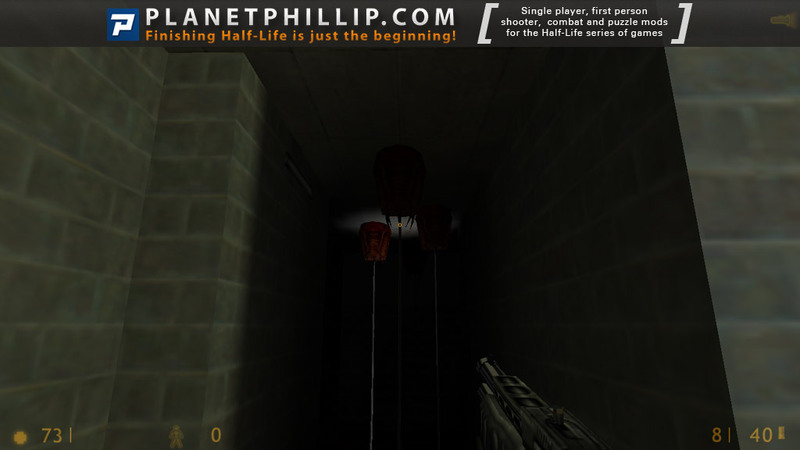 There are other problems like being able to get to innocent-looking places where you get permanently trapped – one mentioned above is at the pipes near the end, but in the middle of the pack is an elevator. If you take this elevator it stops between floors with no way to escape. Also, near the pipe section if you fall down the pit you can just land on the black floor and again, you’re trapped there. 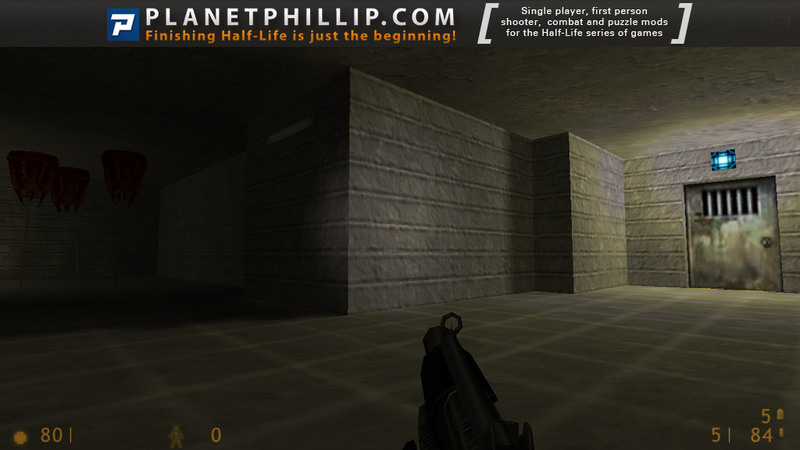 I wanted to like this Black Mesa romp but it just doesn’t feel or look like the Black Mesa I love. Some poor design decisions, lack of polish, and lack of an ending add up to a think twice for me. Weak episode, without clear beginning and ending. 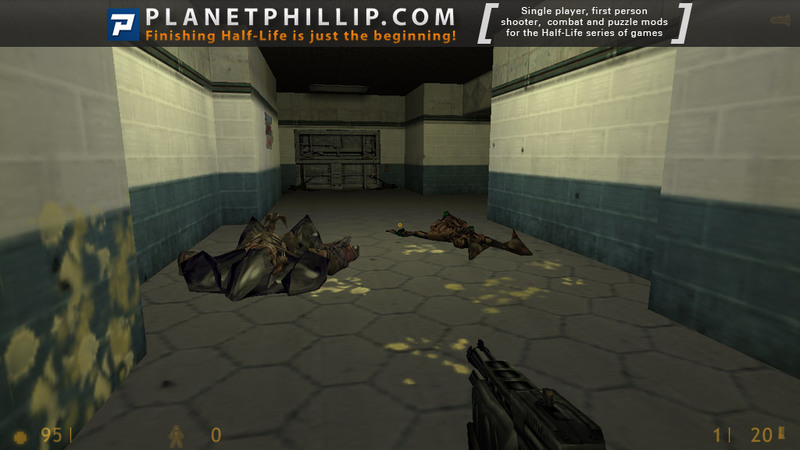 Just some combat with grunts and aliens in low detailed Black Mesa styled setting. All “puzzles” here can be solved with using of movable boxes. Not bad, but nothing interesting, only a bit better, than levels from random map generator. Mediocre. 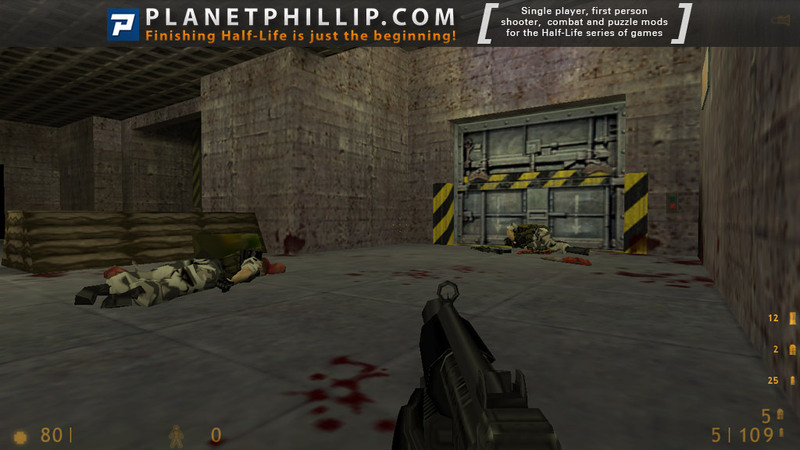 Compared to Return 1 this has somewhat improved level design and more balanced combat (although it still has mean enemy placement, but at least there is more ammo and health). While this is a definite improvement over the first one a lot of the problems Return 1 had are still present here – the place is mostly empty, bland and quiet, it feels like it was never occupied, only an occasional scripted sequence breaks the monotony of bland corridors with soldiers hidden behind every other corner. 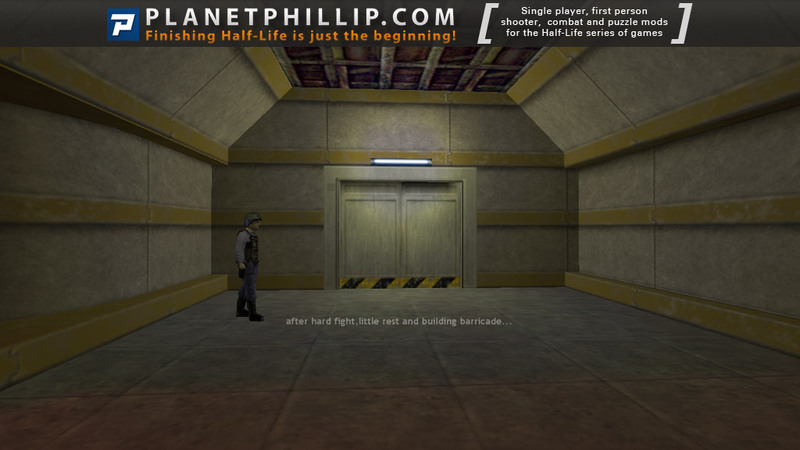 Play it if you have a craving to play through some more BM, just don’t have too high expectations as this is at best a passable attempt at making BM style maps.